. إن كوروناشين لودج حريص على توفير الراحة للنزلاء، فلا يوفر الموظفون جهداً في تقديم أفضل الخدمات وضمان حسن الاستقبال. يقدم الفندق واي فاي مجاني في جميع الغرف, مرافق مخصصة لذوي الاحتياجات الخاصة, تخزين الأمتعة, واي فاي في المناطق العامة, صف السيارات لضمان الراحة القصوى لضيوفه. في الفندق غرف نوم يتجاوز عددها 11، كلها مجهزة بعناية وجمال وبعضها مزود بـ تلفزيون بشاشة مسطحة, اتصال لاسلكي بالإنترنت, اتصال لاسلكي بشبكة الإنترنت (مجاني), غرف لغير المدخنين, تدفئة. يمكنك الاستمتاع بالأجواء المريحة التي تقدمها حديقة طوال النهار. إن كوروناشين لودج هو مكان مثالي للمسافرين الذين يتطلعون إلى الراحة والاستجمام في كوينز تاون. Property was located 2 mins walk to the main town centre. This was perfect for us as we weren't situated right in the heart of the busy (and loud) NY celebrations but were still able to enjoy it. Could not recommend this place enough. Also had a balcony for us to enjoy the mountain views. Great, helpful staff. Booked a tour of Milford Sound for us. Good location, good wifi and satellite TV if you need it, short walk to town. One block uphill to bus stop. Rooms and linens spotless, free coffee/tea & hot chocolate packets and milk for tea/coffee. Nice to have a small balcony with fab view of mountains. Nice lodge-like cozy place. The room of Coronation Lodge is beautiful. The bed is cozy, the bathroom is huge, and we had a balcony that allowed us to enjoy the view. The floor of our room had no carpets so that was a plus for me because there are less allergens for my asthma. Location is just 5 minutes walk from center which allowed us to enjoy the quiet atmosphere but also be able to go quickly to where all the activity happens. Great location within easy walking distance to the city center and a few blocks from the main road into and out of town. Staff was friendly, room was clean and well lit and parking was included. Great location, good price, good service and friendly staff. An excellent property, we would definitely stay here again. The location was fantastic, couldn't have picked a better spot. The room was spacious and clean. We were very comfortable, and the staff are helpful and friendly. Honestly this place was a very good place to stay if you want something affordable, close to the main town (walking distance), comfortable and safe. No cons with this place. Love the spaciousness of the room and bathroom. Coronation lodge was a lovely hotel/apartment with super quick access to town via a lane way. It had convenient parking and ski storage room. The staff were friendly and keep the rooms tidy. The walls of the room were thin as noisy neighbours could easily be heard. The lodge provided complimentary ear plugs but not even they work with inconsiderate neighbours. If you are a light sleeper you might prefer elsewhere. Otherwise it was a great stay and the heated bathroom floor tiles in winter were an added bonus! Nice, clean and cosy place. 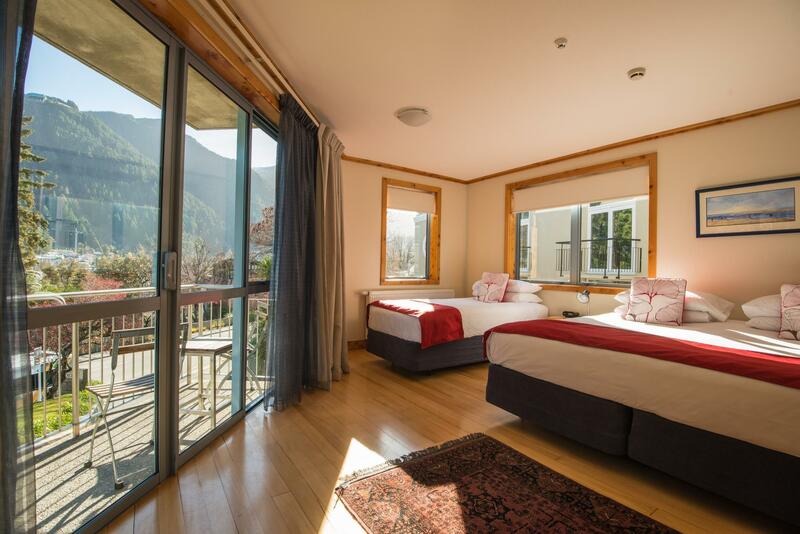 Next to a garden and a short walk to the lake and Queenstown main malls. Only gripe is no shower door or curtain so the bath room got really wet. Will be great if the fixed rain shower head can be replaced with a flexible shower hose. Overall is really good, will go back again! What an absolute delight this accommodation turned out to be!! From the moment I arrived I was welcomed by Kerry and shown to my room which was unbelievable!! Room 12 upstairs, with everything you could possibly ask for was there. Spotlessly clean, full kitchen great views across the gardens and the wharf, and only a few minutes to the centre of town. My only criticism and it really is no bother unless you find stairs difficult, is there is no lift. So a big 100% from me and thank you Coronation Lodge for a great stay!! Great location within 2 minute walking distance to the centre of town, room was very spacious and well maintained. Wifi available in all rooms and receptionist was extremely helpful in assisting us with any issues we had. Underfloor heating in bathroom was amazing for the cold queenstown winters! 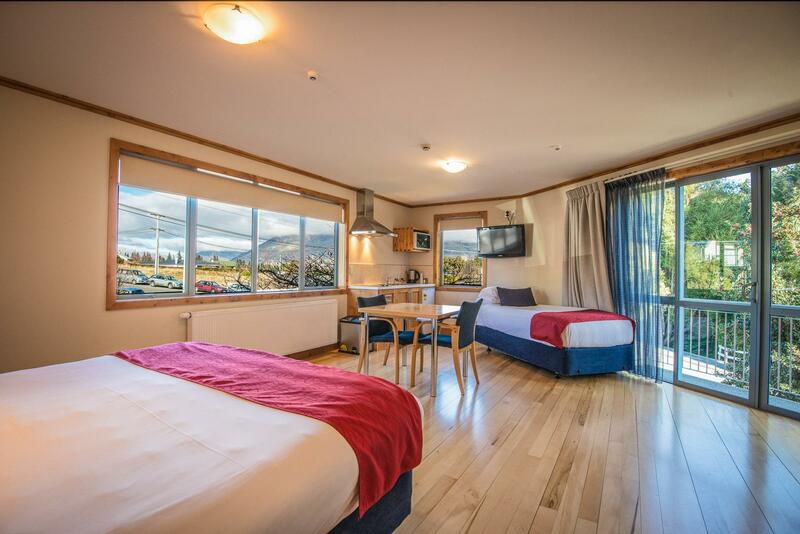 Pros: location, facilities (ski storage/drying area), staff, warm, undercover parking Cons: not enough storage Coronation lodge was a great place to stay in queenstown. It is just off the main streets with a 2min walk into the cbc. We ended up walk in ng everywhere in queenstown. The room it self was clean, comfortable and very warm. It supply radiators, electric blankets and heated flood tiles in the bathroom. There was the option for breakfast as well but we did not end up going there as we preferred the idea of getting a cheaper breakfast if we just walked into queenstown. We stayed to snowboard and hired a car so it was really great being able to park undercover each night. We never had an issue getting a park. It was also great to store our boards in a secure locker to dry. Our only issue was we didn't have enough storage for our stuff. There was only a closet to hang stuff but no drawers. Overall it's a fantastic place to stay. Would stay again. Highly recommend. Coronation Lodge was great. The deluxe kitchenette room as spotless and really functional. All felt very new. The location is excellent, just an easy 3 min walk to the center of town. Staff were friendly and the onsite parking was great. Highly recommended. The Coronation Lodge was within walking distance to the city center. The staff were extremely helpful and attentive to any needs you may have. The laundry facilities were clean and efficient. There is even a clothesline in the back to save energy use. The room and ensuite were clean and the bed was comfortable. The Lodge strongly encourages and follows through with their commitment to be "green" and conserve water and recycle. We checked out the day we left for an overnight cruise on Milford Sound and the staff gladly stored our luggage until we returned the next day. They even called ahead to our next destination to informed them we were just leaving Queenstown and would arrive later than expected to check-in. 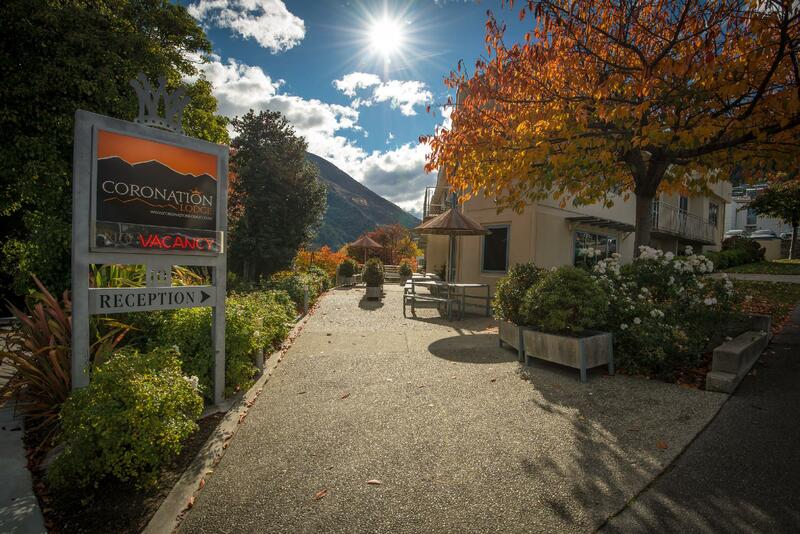 We would highly recommend staying at the Coronation Lodge when visiting Queenstown. We had a flight delay and reach queenstown quite late. The frontdesk was sweet enough to wait for us. The room was cosy and clean. Perfect enough for two girls. After a tiring day in the cold, nothing beats coming back to our small cosy room to rest. Location is perfect. Just 5 minutes walk down to town. The only downfall is that there is no lift so please be aware if you are going to come with a lot of luggage. Other than that, the lodge is a perfect place for backpackers or travellers that don't really need such fancy hotel room. A "lodge" is a good description because the wood trim interior gives it the feel of a forest lodge. Room I was in was OK but the single beds were not particularly comfortable. It was not in the heart of town, but not too far and walkable. Generally clean though and the staff was nice. Location is the best. Very short walking distance to city centre and Queenstown Gardens. Good in-room facilities dry kitchenette. Plus option for breakfast and self-laundry.